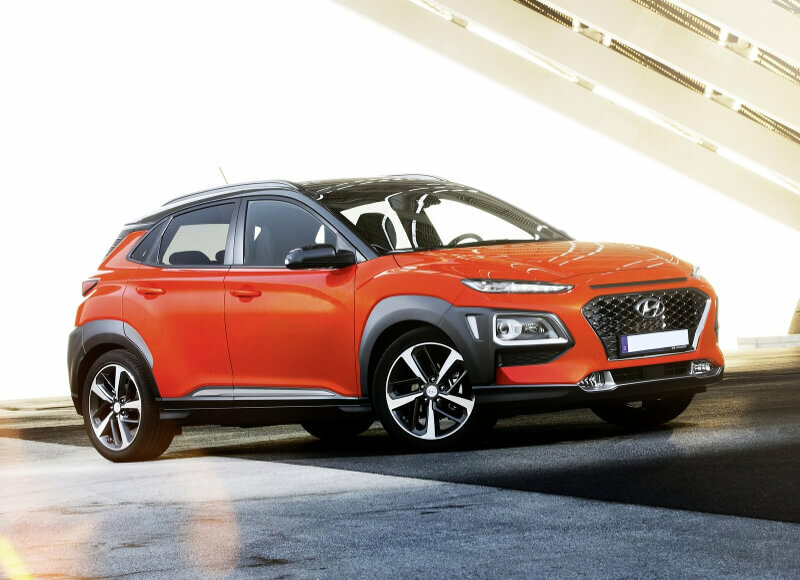 Hyundai Kona features a striking design reinforced by the car's voluminous, aggressive body styling, that emphasizes the car's well-proportioned, dynamic silhouette. 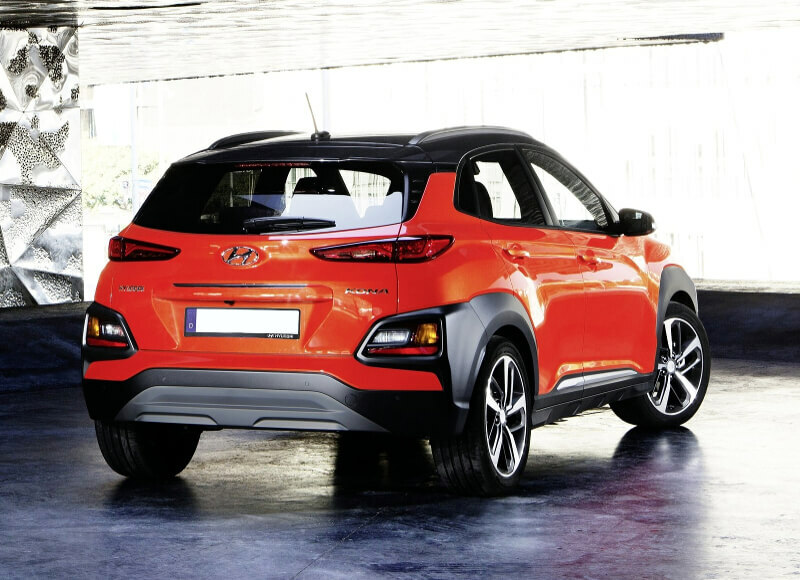 Its low and wide stance complements the car's stylish profile, with the long wheel base and short overhangs ensuring sporty, nimble handling, in addition to delivering superior driving stability at high speed. The unique features of the exterior continue inside, with a strong horizontal character line creating a wide and spacious feel. Even with its compact dimensions and low roof line, the Kona delivers best-in-class interior space.